Although you won’t spot Atlas, Goliath or Cyclops along Northern California’s Avenue of the Giants (avenueofthegiants.net), you will be treated to pristine views of massive redwoods that line the two-lane roadway on this 31-mile scenic drive. 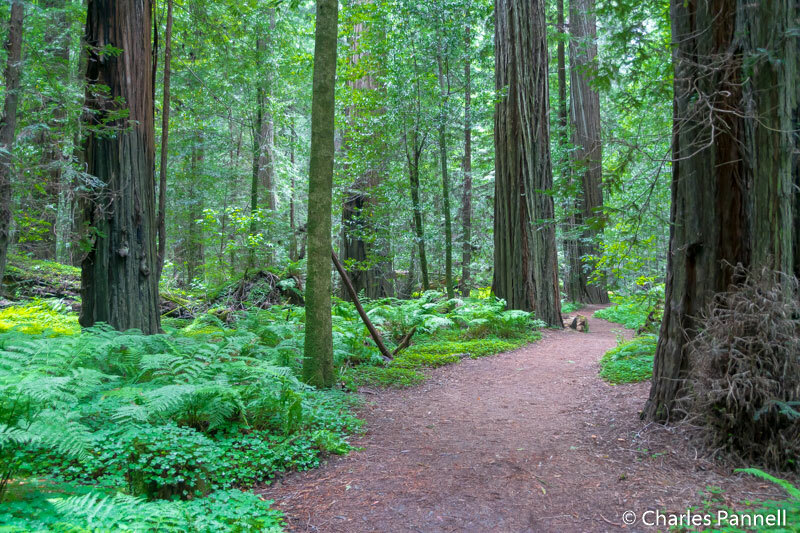 Along the way, accessible trails wind through the 51,122 acres of redwood groves, and a number of quaint gift shops, secluded picnic areas and in-season fruit stands dot the route. 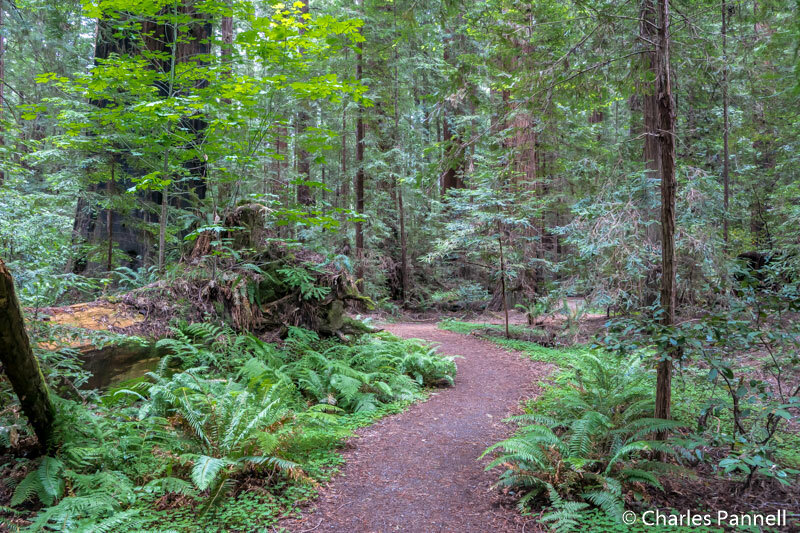 And although visitors flock to the area for the more popular Redwood National Park, most folks entirely overlook this scenic slice of the redwood belt. Not only is this patch of old Highway 101 a pleasant diversion from the busy freeway, but it’s also a good opportunity to get up-close-and-personal with the magnificent Coastal Redwoods. 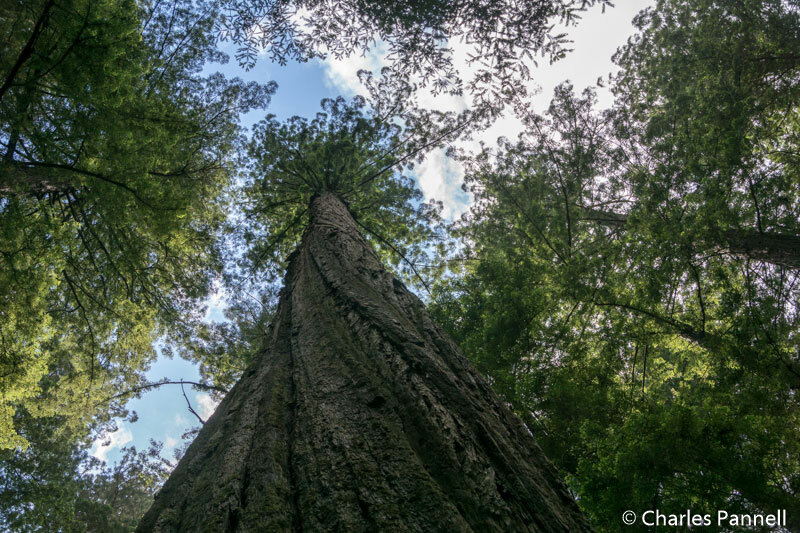 Look for the north entrance for the Avenue of the Giants just south of Scotia on Highway 101; however if you are traveling north you’ll want to reverse the order of the drive and begin your adventure at south entrance, just north of Garberville. One of the most popular stops on the drive — The Drury-Chaney Grove — is located about 2.5 miles from the north entrance. Look for the “Auto Tour Marker #8” sign on the west side of the road. It’s easy to miss, but if you hit Pepperwood you’ve gone too far. There are no stripes in the small paved lot, but it is level and there’s usually room enough to parallel park an adapted van. This 2.4-mile nature trail is covered in decomposed granite, and although there are a few undulations along the way, it’s quite doable for most wheelers. The grove almost takes on a primeval look, as the ground is carpeted with sorrel. And if you’d like to take a break along the way, there’s also a bench to sit back and enjoy the beauty of it all. Additionally, there’s a nice picnic area in a level grassy area near the trailhead. Located about eight miles south of the Drury-Cheny Grove, Founders Grove is another must-see along the drive. Accessible parking is located near the accessible porta-potties, and there are some shaded accessible picnic tables near the parking area. The half-mile accessible nature trail begins across from the porta-potties. This hard-packed dirt trail winds through the grove, with almost no elevation change along the way. The Founders Tree — which features ramp access up to a deck encircling the 346-foot giant — is located along the first part of the trail. Further down the trail you’ll pass the downed Dyerville Giant, which was uprooted in a storm in 1991. Take time to stop and listen to the sounds of the forest, and pick up a trail guide at the beginning, to learn more about the ecology of the grove. Even if you’re not up for the entire loop, at least make a stop here to see the Founders Tree. You won’t regret it. Last but not least, don’t forget to stop at Gould Grove, which is located across from the visitor center, about four miles south of Founders Grove. Accessible parking is available in the visitor center lot, and there are also some accessible picnic tables in a nearby level grassy area. Admittedly the beginning of this .7-mile nature trail is unimpressive, as it passes through a small logged area. The good news is, it’s gets better as the hard-packed dirt trail progresses through the lush forest, with ferns and sorrel covering the ground. A variety of interpretive plaques detail the redwood life cycle; and although this grove lacks the giant trees, it’s certainly worth a stop for its verdant beauty. And even though it’s close to the visitor center, this trail sees relatively little traffic. Of course the Avenue of the Giants is a destination by itself, but if you want the full dose of accessible redwood sites in Northern California, then check out emerginghorizons.com/californias-accessible-coastal-redwoods. 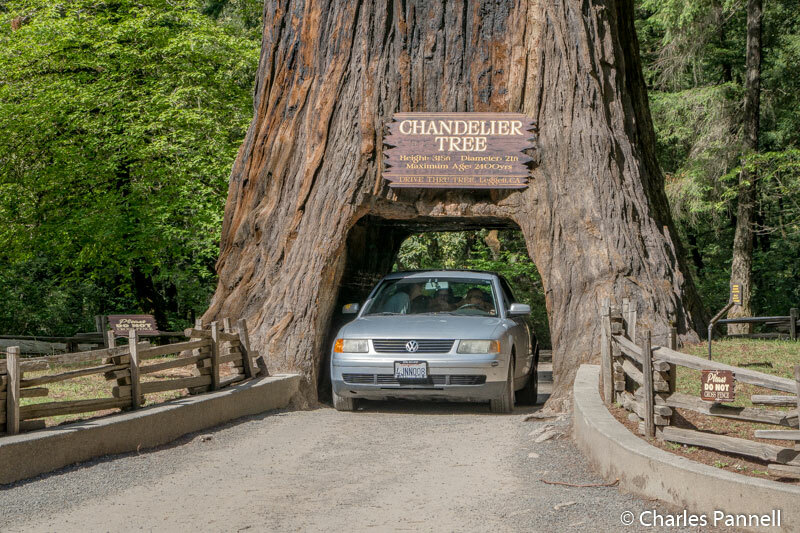 You can even drive-through several trees along the way (emerginghorizons.com/add-these-drive-through-trees-to-your-next-california-road-trip).